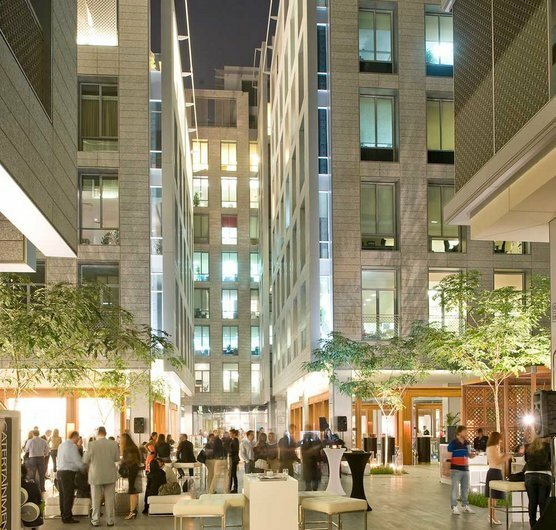 Art Nights @ Gate Village is an arts focused initiative taking place in the heart of Dubai's financial district at Hopkins Architects' recently completed Gate Village; a 240,000m2, high density, low-rise mixed use development. This contemporary urban area is home to a variety of galleries, boutiques, restaurants and cafes. Every month, Art Nights @ Gate Village combines elements of art, film, fashion, design and cuisine - through to a variety of indoor and outdoor activities. Events are free and open to the public - click here for details of forthcoming events.